Je viens de recevoir cet ouvrage élégant de mon ami Philippe Rousselot. 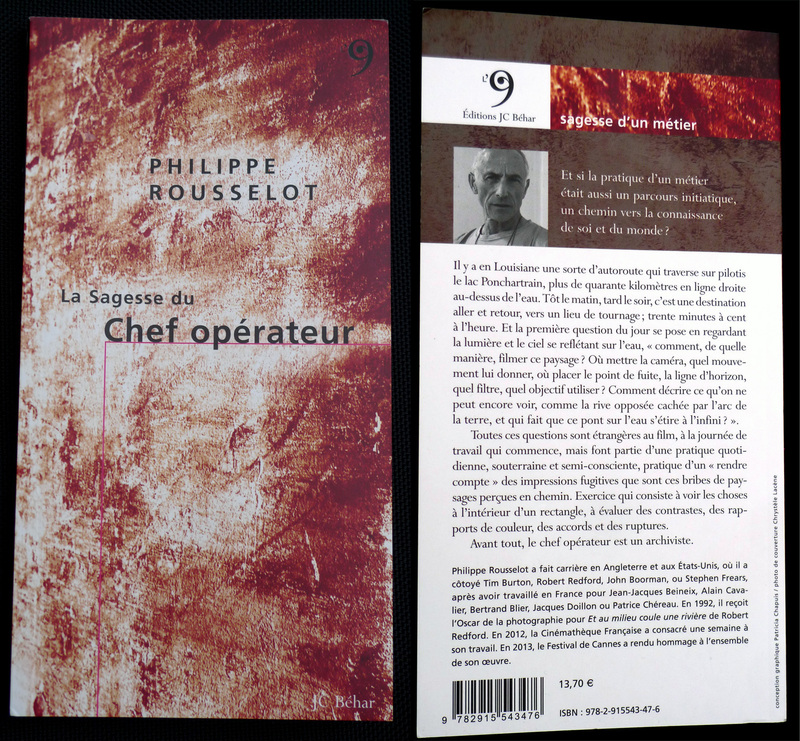 I just received this elegant book, written by my cinematographer friend Philippe Rousselot, as part of a series entitled “wisdom of a métier”. All these questions are foreign to the film, to the working day that’s beginning, but are part of a daily practice, subterranean and semi-conscious, a practice of “giving an account” of fugitive impressions like the fragments of landscapes seen on the way in. An exercise which consists in seeing things inside a rectangle, in evaluating contrasts, color relationship, harmonies and clashes. Before anything else, the cinematographer is an archivist. Christopher Doyle and Harris Savides DPs and Gaffers – Who Does What?